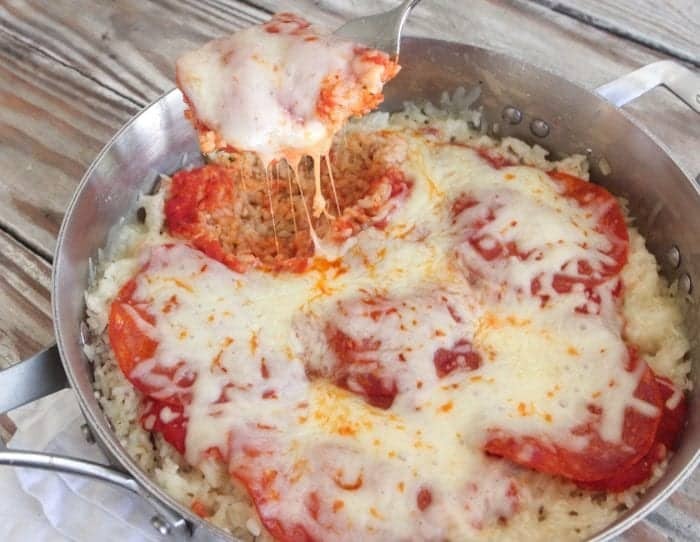 One Pot Pepperoni Pizza Rice - Simple Dinner Ideas! 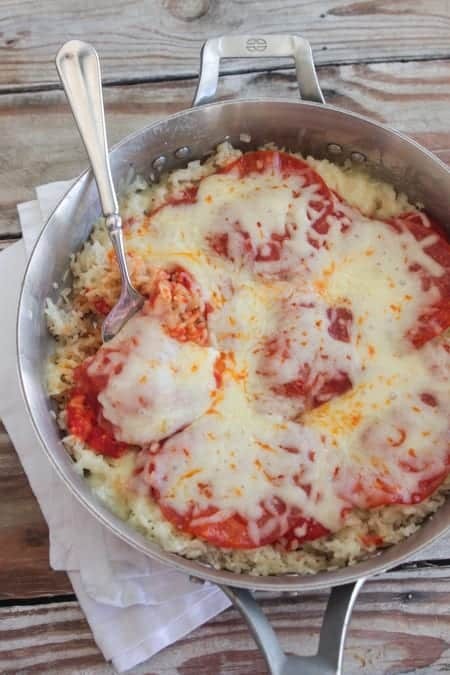 My One Pot Pepperoni Pizza Rice makes the perfect side or light dinner any night of the week! Simple dinner ideas coming your way! 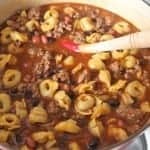 Simple dinner ideas are my favorite kind of recipes to cream!! 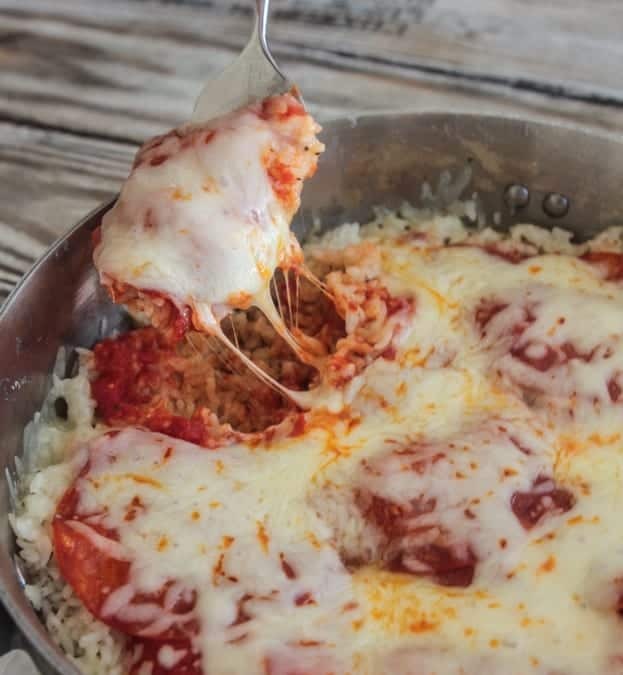 This quick fix rice dish works perfect for a light dinner or as a side to grilled chicken or beef. My boys go nuts for this one hope you enjoy! I put together a step by step video for you today! Be sure to subscribe to my YouTube page for new recipe videos this year! 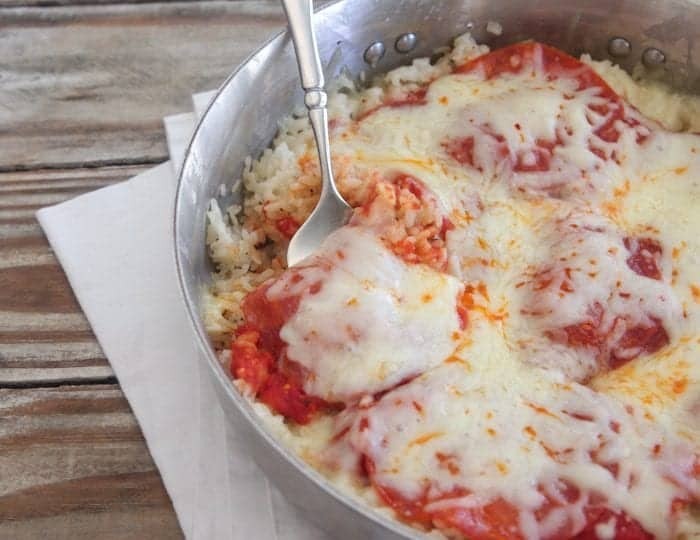 Dinner cooked up in one pot and you only need a few ingredients to make this tasty recipe. Try it out for yourself! Can’t wait for you to try this one. Have fun! Preheat large skillet to medium heat. Add rice and chicken broth. Cover with lid and cook for 15 minutes, or until rice is cooked. Remove lid, stir and add salt, pepper, basil and garlic salt. 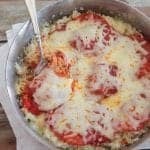 Top with pasta sauce and layer with pepperoni slices and mozzarella cheese. Close with lid to melt cheese, about 5 minutes. Remove lid and serve hot. Such a great idea. This looks so good! To save money and calories just use water for the rice , you stil have all that flavor from your other ingredients. 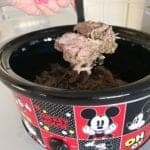 I think my boys will go nuts for this recipe too! I love this idea! I’ll take pizza however I can get it! This recipe takes rice to another LEVEL! I’m loving it!